White House Chief of Staff John Kelly denied calling President Donald Trump an “idiot” after reports saying that Kelly insulted the president surfaced on Monday afternoon. Four officials, both past and present, told NBC News that Kelly repeatedly referred to Trump as an idiot. Eight officials said Kelly portrayed himself as a saving grace of the United States. 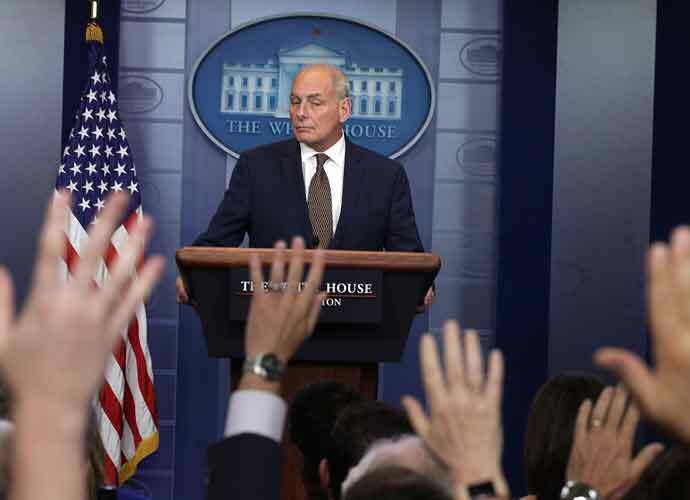 Kelly reportedly also questioned Trump’s knowledge on immigration policy. Officials also told NBC that Kelly made remarks about women, such as saying that women are more emotional than men, that made female White House staffers uncomfortable. Kelly denied questioning Trump’s intelligence in a statement. While Kelly and Trump previously had an amicable relationship, it seems to have dwindled, as Trump reportedly considered firing Kelly — his third Chief of Staff thus far in his presidency — and taking on the role himself.